Garage doors can easily become a hassle when it’s time to install a new one or replace an old one. Torsion springs, winding bar tools, roller racks, and brackets are just the basic supplies used for a job of this size. If it’s a double garage door then you are also looking at a 2 man job. The first thing that happens during installation is releasing the tension of the torsion or extension springs. This is done with a unique tool called a winding bar. Then, the garage door gets lowered and taken apart piece by piece. The first section of the new door will be added and leveled. Installation of the strut and roller brackets follow. From there, the rest of the door goes on one section at a time. If the only thing that needed replaced was the door then it is practically finished. If not, then that means the installation or replacement of the upper racks is needed. This is where the garage door goes when it is in its opened position. When that is completed the torsion or extension springs are then set. These costs can differ between the type of door you want, to the size of it. A person can spend anywhere from $400 to $3,500. On average a basic single door costs about $500 to $800. When it comes to garage door installation york pa stays on par with national averages. A lot of people love to do ” Do it yourself,” or DIY, projects. When it comes to home improvement, sometimes a homeowner can find a way to cut the costs and save some money. Doing things like this yourself can be very cost effective. With enough research and a helping hand, it is possible to install a garage door yourself. Especially if you know someone who knows how to do it. Doing some things yourself can be a huge benefit, but when it comes to projects like garage doors, it can be dangerous. 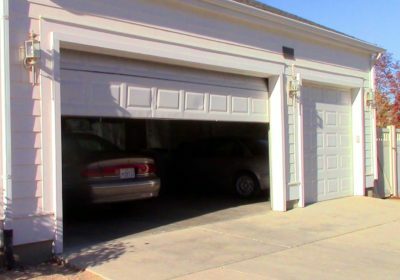 An average garage door weighs 130 pounds, and without the tension of the springs, it could crash down. Not only that but releasing the springs can also be very dangerous if not done correctly. Doing it yourself can also be a hassle. There are a lot of intricate steps and specific ways of doing things correctly when it comes to installing a garage door and one misstep can equal to an unusable door and a waste of your time. This is why most people hire professionals to come and install their garage doors for them, but it is also possible to do it correctly yourself. There are ups and downs and benefits to both. Whichever you choose, knowing what to expect is essential. Choosing what works best for you is the most important thing.